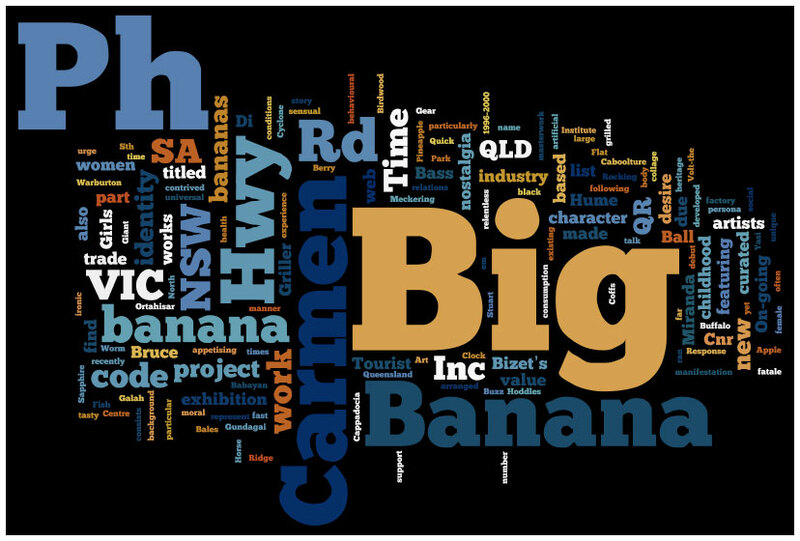 Big Banana time Inc. was the umbrella title for a series of works that explored a range of themes, including national identity, cultural difference, consumerism, kitsch and the tourism industry. This project was presented in many exhibitions and events nationally and internationally from 1995 – 2000. This work may be seen as a critique of the genres of portrait and landscape in Australian art, utilising the vast number of ‘Big Things’ (eg. the Big Pineapple, the Big Banana, the Big Cow) as the primary subject for this playful inquiry into the cultural condition of Australia. These ‘big’ locations serve to emphasise both the humour and parody evident in this project. Issues pertaining to national identity, cultural difference, consumerism, kitsch and the tourism industry are integral to the themes of Big Banana Time Inc. 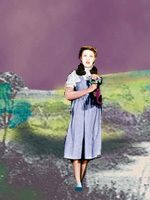 Many works have been produced that may be considered to operate as parody- these include souvenirs and mockumentary video works. Most of the work investigates electronic media in a variety of formats; laser copy collage, image transfer techniques, computer generated imagery and digital sound and imaging processes transferred to video. Food has also been a feature of this project. 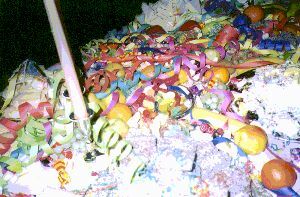 In May 1997, I presented an edible installation at the opening event of the Brisbane Fringe Festival which was very well received conceptually and gastronomically. This work, titled ‘Glut’, pursued notions of national identity through the use of ‘party food’, which included Australia shaped scones, fairy bread, pavlova and thousands of lollies. Playing on Australia’s identity as excessive and wasteful in light of its consumption of western culture and ideals, the audience is implicated as performing that role which the work criticises. Whilst conceived very much to revel in the novelty value of tourist destinations and their commodity aspirations, the work also considers these places as specimens of culture. For example, ‘Sacred Cows and Prickly Pears’, the first component of Big Banana Time Inc., evoked my childhood memories of these places. My interpretation combines concrete elements of these locations (ie. parodying the staff uniforms at the Big Pineapple and the Big Cow’s status as an antique market) with a motive to present a fragmented portrait of the phantasmagorical tourist experience encountered therein.